I have read and agree to the terms and conditions of the this page and the Service Agreement below. This service contains the opinions and ideas of its author. It is intended to provide helpful and informative material on the subjects addressed. The service and training program is sold with the understanding that the author and publisher are not engaged in rendering medical, health, or any other kind of professional services in this program. The client should consult his or her medical, health or other competent professional before adopting any of the suggestions in this session or drawing inferences from it. The author and publisher expressly disclaim all responsibility for any liability, loss, or risk, personal or otherwise, which is incurred as a consequence, directly or indirectly, of the use and application of any of the contents of this program. 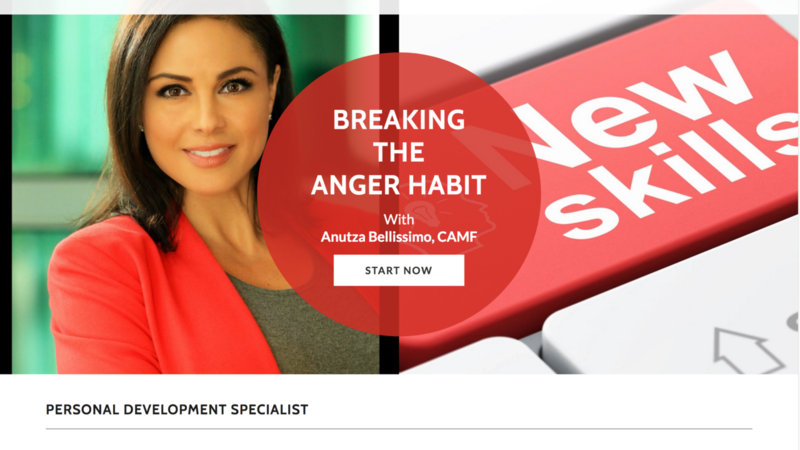 In the event you use any of the information from Stress & Anger Management Institute, LLC or Anutza Bellissimo for yourself, the authors/speakers, Stress & Anger Management Institute, LLC and Anutza Bellissimo assumes no responsibility for your actions and it’s licensors, its suppliers, or any third parties mentioned on the www.TheSAMIGROUP.com site are not liable for any personal injury, including death, caused by your use or misuse of the Site or its Content. If you think you may have a medical emergency, call your doctor or 911 immediately. All sales are final. No Refunds Allowed. The individual who can productively confront others about their negative attitude increases their chance of success as well as minimizes destructive conflicts. This program is designed to help give you that edge. Recognize how anger affects our bodies, our minds, and our behavior. Use the six-step method to break old patterns and replace them with a model for assertive anger.